1 slice of baguette, about 1 1/2 to 2 inches. 1. Cut the crusts off of the slice of bread, and cover it with water. 2. Put the almonds in a blender with the moist bread, the vanilla, the balsamic, the olive oil, the salt, and the water. Blend till smooth. You will probably need to add more water. 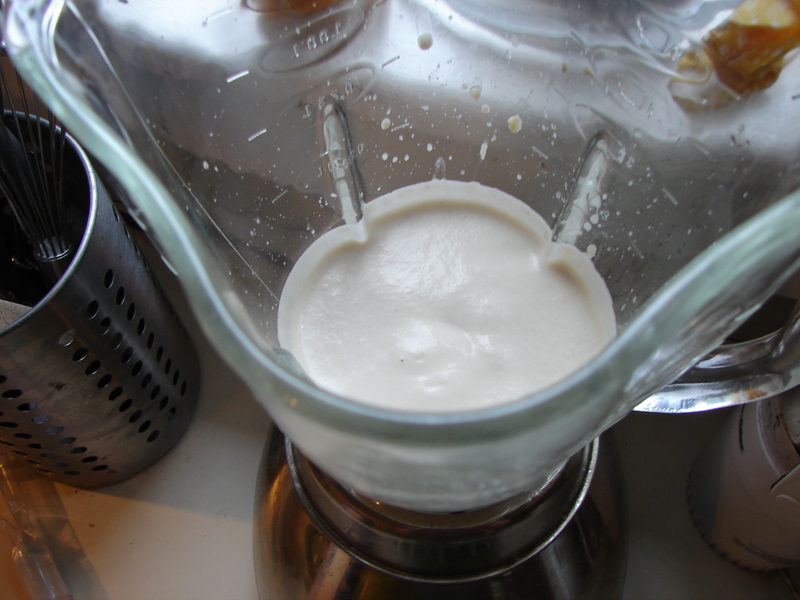 You want a consistency like very thick cream. Add as much pepper as you like (I like a lot!) blend it up once more… that’s it! Put it in a bowl and eat it! 2. 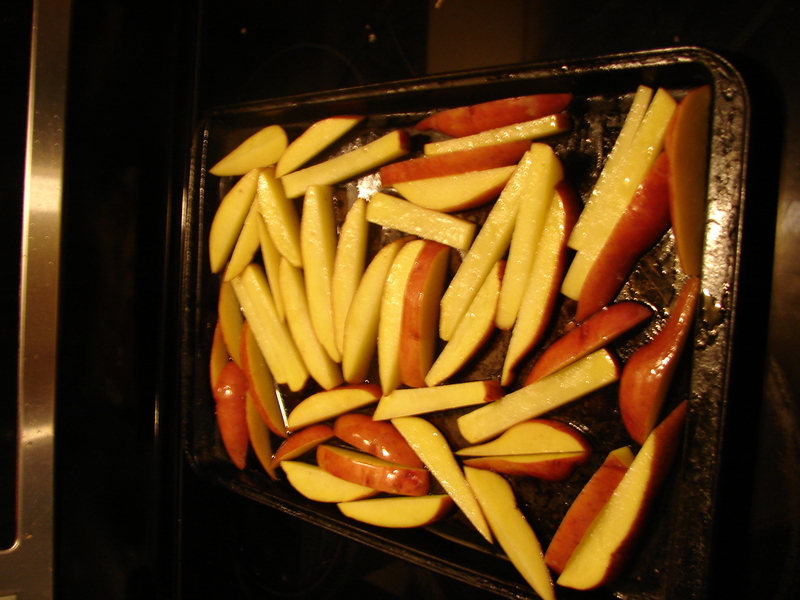 Arrange the potato slices on a baking sheet (preferably NOT non-stick) in one layer. 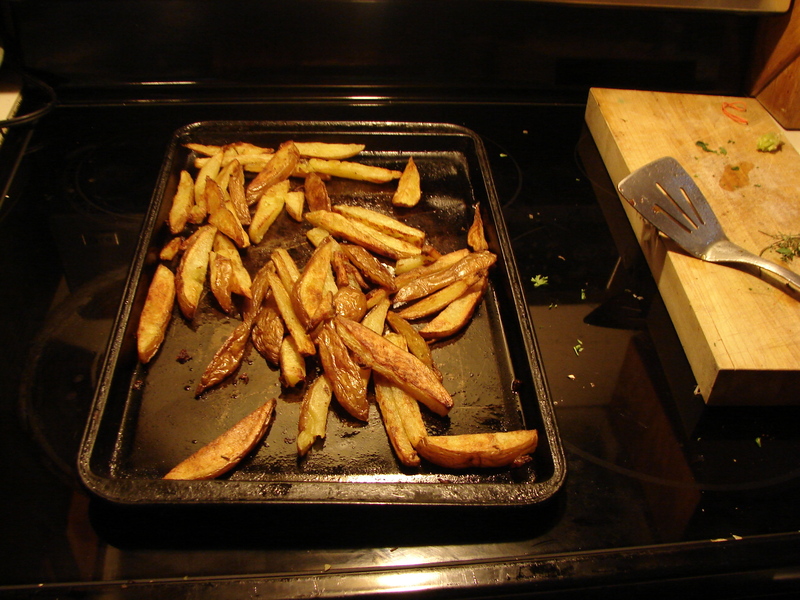 Pour olive oil over – probably about 1/3 cup – enough to coat each fry generously. You can use less if you’re trying to keep it light. Mix it all up to make sure everything is evenly coated. I find it easiest to use my hands here. Arrange them again in one layer. 3. Cook for a while without moving them. A good 10 or 15 minutes. 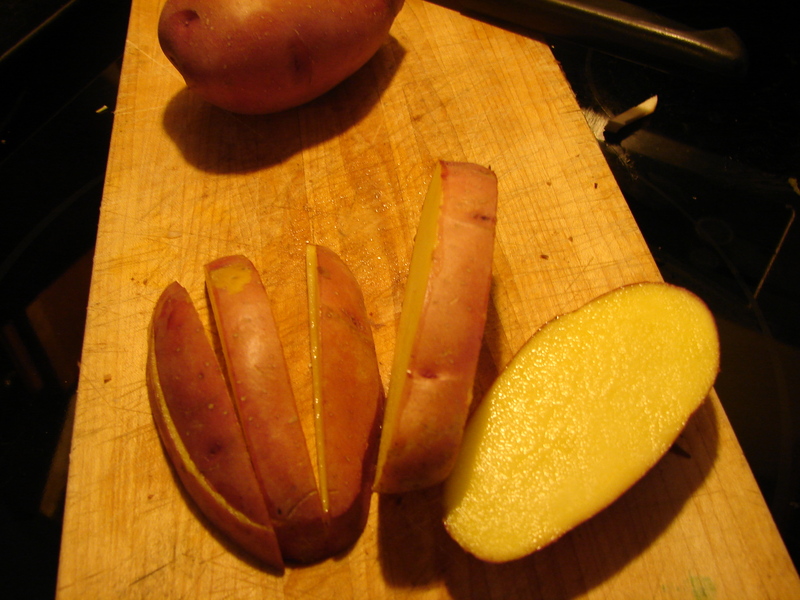 Then turn them over with a metal spatula, careful not to separate them from the crust forming on their lower sides. Return them to the oven and bake some more. Keep baking, turning them or shaking the pan every ten minutes or so, until they’re the desired crispiness. If you like them really crispy, you can put them under a broiler at the end. But don’t forget they’re there! 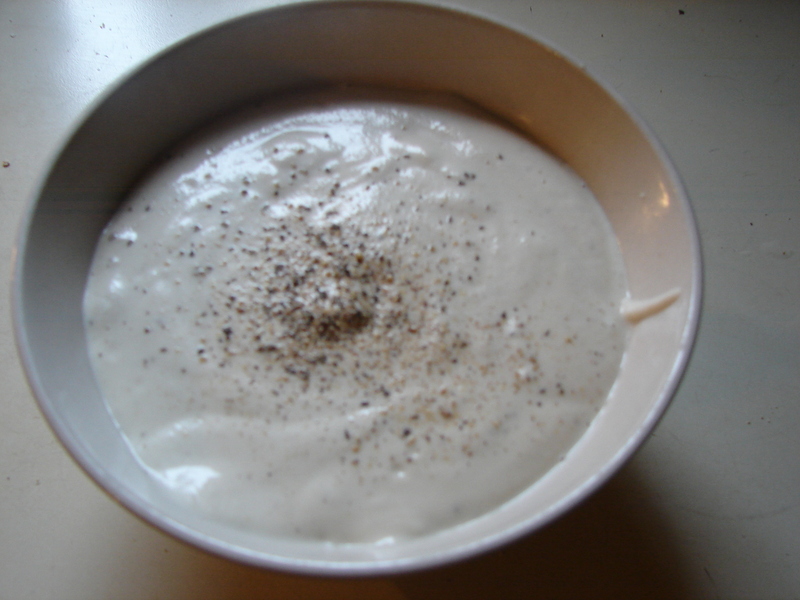 This entry was posted in recipe, sauce and tagged fries, potatoes, recipe, savory vanilla, tarator, vanilla by Claire. Bookmark the permalink. That’s an interesting combination steen! I love vanilla and I love spuds but thought they would be a marriage made in hell – might have to give this one a go…. Hello! It’s actually very good together (I think). I’m trying to figure out what other savory things the vanilla sauce would be good for, but haven’t come up with much. Hmmm..asparagus, maybe? Probably lots of things, but you have to kind of talk yourself out of your instant “that won’t work!” reaction.